Environmental Justice documentary: "We are here to stay"
We are here to stay! is a new LaMCA-EJOLT documentary where scholars, activists and people suffering environmental injustices provide their views and testimonies on environmental justice. LaMCA is the environmental conflicts media house from the Autonomous University of Barcelona, who also produced the EJOLT documentary on the uranium rush in Namibia. 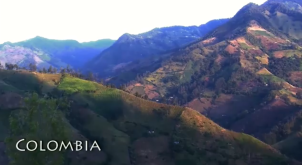 This new documentary shows small communities from Argentina, Colombia, Kenya, Mexico, the Tibetan plateau, and also big cities in Italy and Colombia. With very different forms of livelihood, the people explain how their everyday realities are threatened or have ceased to exist. In their stories we find common patterns of inequity in the use of local resources, lack of recognition of their viewpoints in decision making, lack of opportunities for participation and, to sum up, the impossibility of living according to their own wishes. This story is given to the backdrop of beautiful scenery, touching music and colorful images. The narrative is divided into four parts: disribution, recognistion, participation and capabilities. The documentary considers all such aspects of environmental justice drawing on statements of inhabitants of these communities, and also on words from activists who support them, civil servants and scientists of several countries. Among those interviewed are Robert D. Bullard, Julio Fierro, Joan Martínez-Alier and Tatiana Roa. Next to them, we get to know the unknown faces and names of those who not only endure threats but also confront them, mobilizing collectively and, sometimes, winning battles for environmental justice. In less than half an hour, viewers get a very good sense of what environmental justice is all about.